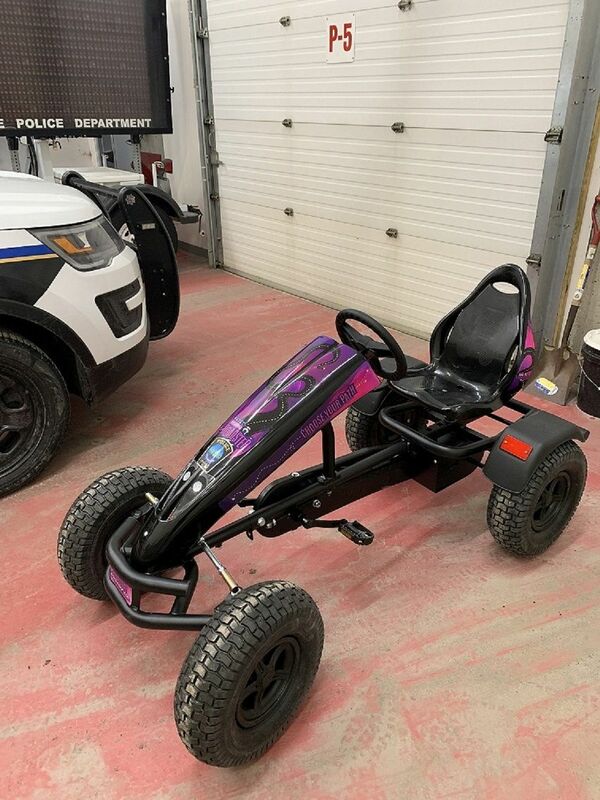 Sunapee NH – This pedal cart that will be used in one of several events planned by the students of Sunapee Middle High School during Alcohol Awareness week, April 15th through April 19th. The events planned for the week are designed to bring attention to the many consequences of alcohol abuse. The pedal cart will be used in conjunction with impairment goggles which simulate a blood alcohol level of between .08 and .10 (the legal limit and above). The cart will be operated by a student wearing the goggles through an obstacle course set up on school grounds. The concept behind this exercise is to show the student how impairment decreases a person’s normal dexterity so the student better understands what an impaired driver experiences. This awareness will help a student make the better choice when it comes to possibly driving impaired or whether to ride as a passenger in a vehicle that the student believes may be operated by an impaired person. The pedal cart and impairment goggles were purchased by the Sunapee Police Benevolent Association with funds generously donated by members of our community.